This may not be 100% correct for all engines but it a simple quick way to check to see if the base line settings are close to what your engine requires. 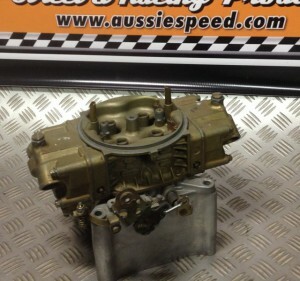 Because the design of Aussiespeed manifolds, they give a stronger signal to the carburetor. 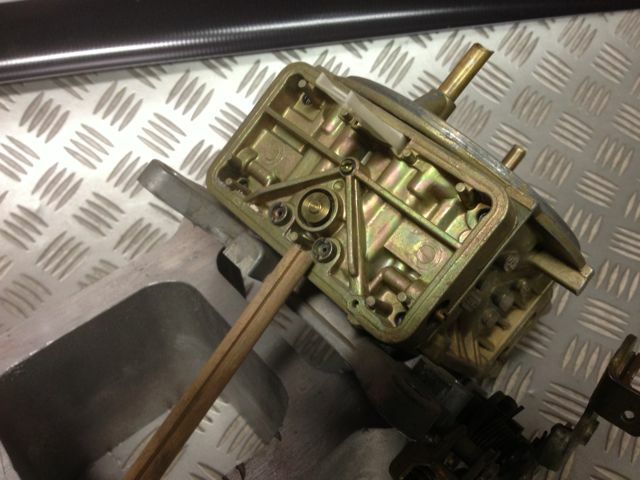 The carburetors power valve can cause problems if not sized to your engines needs. If you fire up your engine and find it is not running the way you expected more so in the light throttle idle area the steps below may very well help. 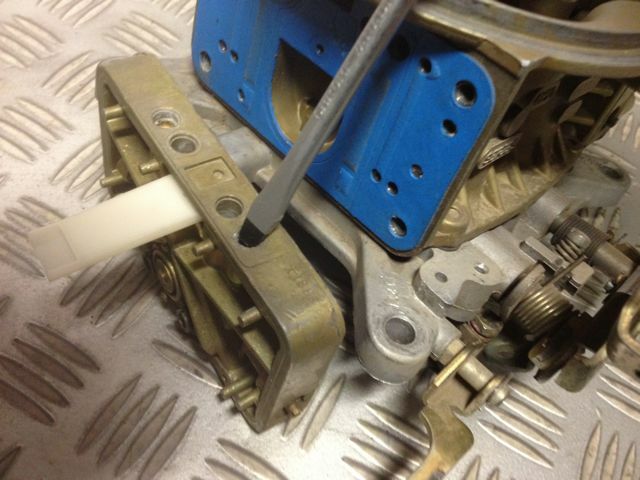 We have found that there are 3 important steps to getting positive results from using an Aussiespeed Manifold. 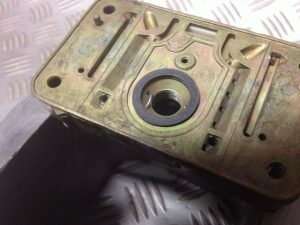 A good starting point for larged cammed low reading manifold vacuum engines after initial fire if the engine seams rich. When starting to sort the tune of your engine is to increase main jet sizing by 2 sizes and reduce the power valve to a 2.5 or better still block it of for base line tuning. Once the manifold and carb are fitted start the engine warm it up set the idle to as low as you can without the engine stalling and hunting. The first thing you want to do is to make sure that the mixture screws that control the idle circuit responds to being wound in or out. 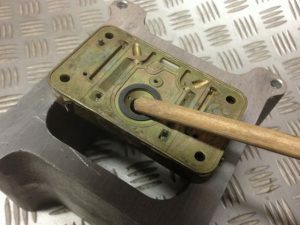 If you can hear a difference at idle when adjusting or better still get the engine to stall or run very rough you know the idle circuit is close to being sized correctly. If you find that by adjusting the mixture screw in or out doesnt make any difference your off to a bad start. Check for air leaks, make sure any vacuum take offs are plugged on the carby. If you still dont get any difference in the way the engine runs from adjusting the idle mixture screw go and see your local dyno shop. Things to check or information that will come in handy before you decide to give us a call. 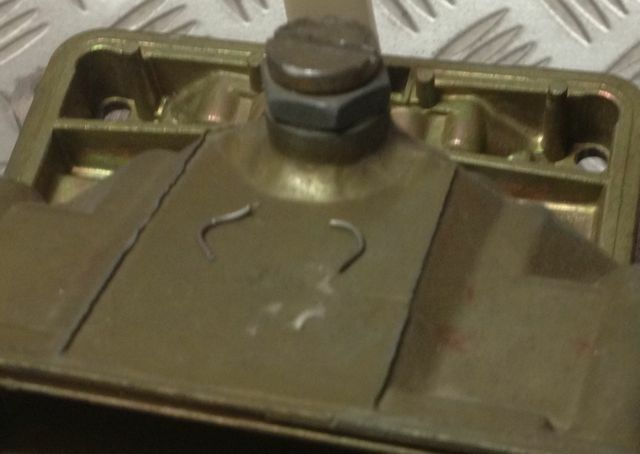 Check the float level, just because it was right before it was removed from your engine or the person who did your carb said that its ready to go check the float level if you are having idle problems. Yes to check the float level you need the fuel pump pumping so engine needs to be running, you need to make sure that the needle & seat is closing when the float reaches the correct height. If your engine will start look down the throat of your carb for signs of fuel dribbling or pouring in, dont rev the engine while you have your head over the carb as a shooting flame can remove your eyebrows & hair real quick. Check that the carb throttle linkage is returning to a closed position with the cable or linkage connected & disconnected. 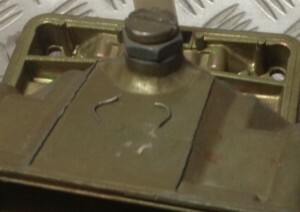 Locate the list number located on the carby on the choke horn on the primary side of the carb it is stamped LIST- 4 digit & sometimes will have a dash after the 4 numbers. 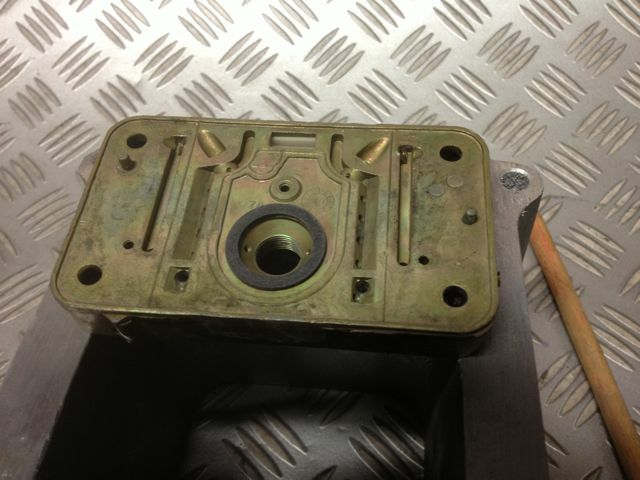 Check the main jet & power valve size, It is normally stamped on both the jets & power valve. If your engine has backfired & this can be caused by many reasons the diaphragm in the power valve can be damaged & will not control the fuel as the vacuum of your engine changes.If you have a vacuum gauge get a reading of the vacuum at idle out of gear & if an automatic in gear. 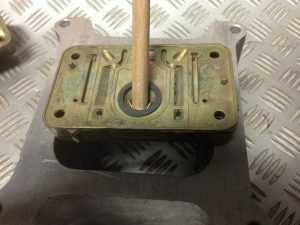 If you have fitted or your car is fitted with an electric fuel pump its a good idea to check fuel pressure, if there looks to be fuel coming out of the bowl vent at the top of the carb it is not normal & could well be a fuel pump/ fuel pressure problem a good way of checking is to clamp the rubber fuel line near the carb once the fuel bowl is full or if you can turn the fuel pump off or disconnect the power wire to the pump. 3 to 4 PSI for a 6 cylinder street engine is fine. Primary metering block idle mixture screw The main jets set up is next and this is where most people get this step wrong. The power valve and main jets need to be set to work together. Some engines need more fuel under hard acceleration and some need less. The point that the power valve needs to open can be different in many engines and the amount of fuel an engine needs also differs. 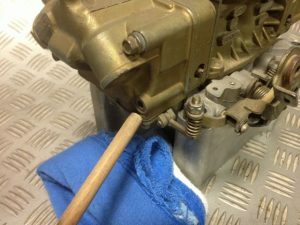 An easy way of emptying the fuel bowl is to place a damp rag under the fuel bowl screw & remove the bolt or screw, this catches the fuel. 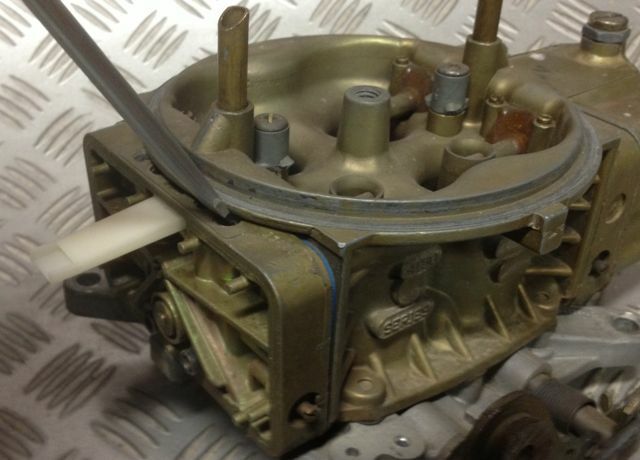 A Holley fuel bowl holds a lot more fuel than you think so make sure the rag is a reasonable size After running the engine if you are finding that the inside of the manifold is very wet and there looks to be raw fuel in the plenum in most cases it is caused by the power valve opening and dumping additional fuel when it is not required. 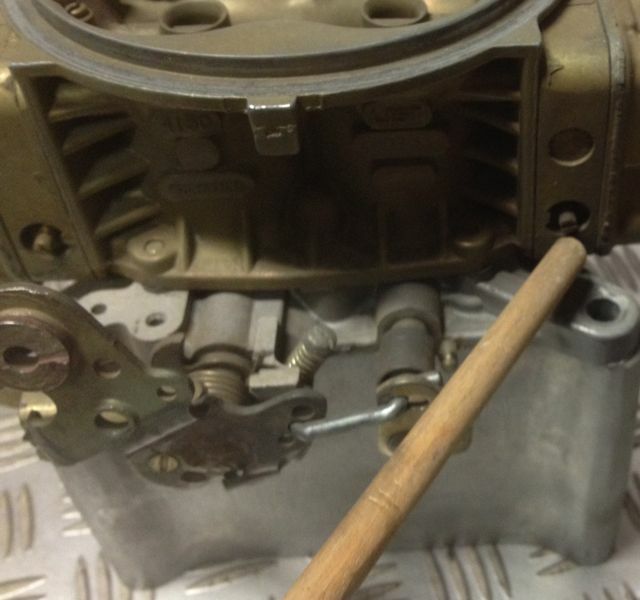 There are small core plugs filling the holes & lever it to remove it from the carb body This has been found to be the case in most mild street engines. If you are finding the engine looks to be rich or the floor is wet the feed holes in the metering block that feed the power valve will need to be restricted. Inside the gasket ring there are 2 small holes these are the two that may need restricting This can be done with 2 small pieces of wire about 20mm long Mig welding wire is great for the job. With the wire bent into a l shape insert the wire into the power valve feed holes then screw the power valve into the block making sure that the wire is held into place as the power valve is tightened. 2 small wires can make a huge difference to the way your engine runs, the wire size required can be trial and error, Mig welding wire can be a good size for many engines multi strand electrical wire with a few strands removed or even fuse wire might need to be used. By doing this you will find that the power valve may open at 8.5 “, but deliver a lesser amount of fuel. Some engines with larger cams may require the power valve to open at 4.5 “ or less and require 3 to 4 sizes larger in the main jets to compensate for the later opening of the power valve. With the wire restrictors fitted to the power valve feed holes you now can go about selecting the correct power valve opening point that best suits your engine. Sometimes you may find that the plenum area can look very wet , horsepower and torque can be down in one certain point , but the air fuel ratio reading looks to be correct. So to put it in simple terms you are reducing the power valve feed holes in the metering block to deliver a lesser amount of fuel. Depending on the thickness of the wire will depend on how much the hole is reduced & the amount of fuel that feeds from the power valve holes. The function of the power valve is mainly economy based, the main jet circuit can be slightly leaner & as the vacuum drops it sense’s the throttle is opening further the engine require additional fuel it opens & the extra fuel is available. When the throttle closes the manifold vacuum rises & the power valve closes. Where people get into trouble is if the main jet size is to large the power valve opens to early & the feed holes are full size the carb dumps extra fuel in. With power valves the higher the number the earlier they open, if an automatic engine has a vacuum reading at idle of 16.5″ in neutral when it is put into drive it may drop to 14.5″ it may have a light load cruise of 10″ with a power valve size of 8.5 inches. When you add a performance camshaft the idle may be 11″ in neutral when it is put into gear it may drop to 9″ when you put your foot down it may drop to 6″ inches. So if the carb on the engine has an 8.5″ power valve it is open just off idle.. Its another simple way of explaining it but I find sometimes the simple explanation is the best. So you have an empty 5 gallon bucket and a air line with a nozzle that goes back to your compressor. If you point the air line into the bucket and push the trigger the air hits the bottom of the bucket and finds a path out of the bucket, now if you add a small amount of liquid and put the airline in and pull the trigger, you end up with air and water going all over the place with the air stream disturbed. So in a perfect world and with some exaggeration if the air is entering the plenum of the manifold through the venturi of the carb holding the atomised fuel in the air stream it can continue down the runner gain air speed through the port around the short turn past the valve and into the cylinder. So if the example above is happening then the power valve opens and the amount of fuel doubles and the fuel is not atomised and drops to the plenum floor we have the same thing happening as the liquid in the bucket but in the case of your engine with the Aussiespeed manifold it upsets the airflow to all runners seeing a dip in the power curve as the extra fuel in on the plenum floor and the fuel is in puddles the droplets are two big to be re introduced into the air stream. The reason we try to use a course type finish on the inside is so if the fuel that drops out hits an uneven surface there is a better chance of the fuel being broken into smaller particles & as the airspeed increases the fuel is reintroduced to the airstream. 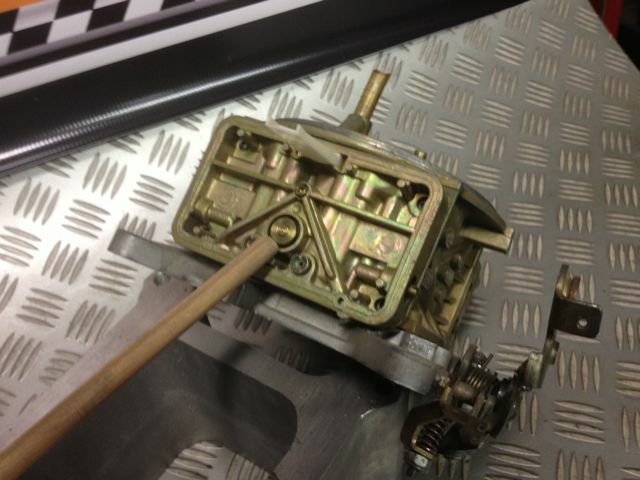 We have spent hours experimenting and using this theory to set up your Holley as we have found with carbs like carters, Rochester’s and the like that use a different metering system the same issues don’t happen. Some may disagree with the points in this article but agree or disagree these are our findings and we hope that you can use some or all of this info to get the maximum benefit out of you engine and Aussiespeed manifold. We are not saying this is the bible on how to tune your engine, we have just found we have had a lot of success when setting up a carby on an inline engine this way. If you think this is informative information or have any comments good or bad or think by adding to the information above please email us..